East Ilkerton Bed and Breakfasts. Compare latest rates and Live availability for all your favourite places and places you have always wanted to go using our new My Shortlist feature. Click + to add to your Shortlist. Bed and Breakfasts in East Ilkerton, Devon for 1 night from Sat Apr 20, 2019 to Sun Apr 21, 2019 within 10 miles, in an Average Nightly price range of £1 to £200. Boasting an impressive atrium lounge, this Victorian hotel offers a restaurant and free WiFi. Just a 19-minute drive from Exmoor Zoo, The Valley of Rocks Hotel is located in the small coastal town of Lynton in the Exmoor National Park. Inside each room there is a TV and a telephone. There is also an electric kettle. Featuring a bath or a shower, the private bathroom also comes with a hairdryer. Extras include bed linen. At The Valley of Rocks Hotel there is a 24-hour front desk, a bar and a snack bar. Other facilities offered at the property include a shared lounge. 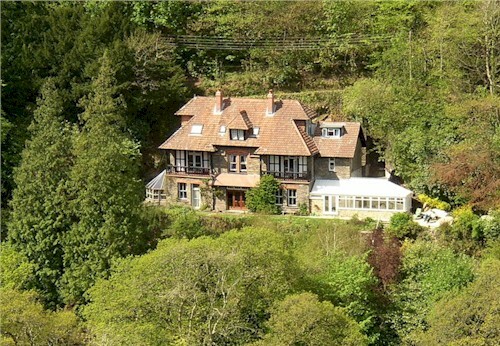 From the property, Ilfracombe Golf Club is 31 minutes' drive away and Watersmeet is 2.4 miles away. Dunkery & Horner Wood National Nature Reserve is 15.4 miles away. 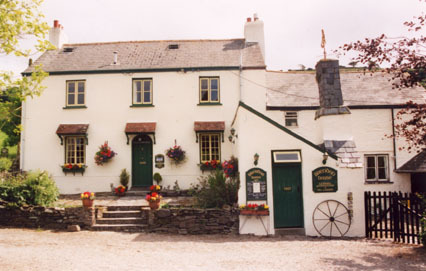 Welcome to the booking website for Lorna Doone Guest House. Lorna Doone House is situated close to the river in Lynmouth and is just a 5 minute stroll to the heart of the village and the harbour. We are open all the way through from February to end of November .We offer evening meals and are also licenced. The ideal spot to relax and restore the batteries. Situated in the charming village of Lynton, 10 minutes' walk from the North Devon coast, Rockvale has its own bar, restaurant, free Wi-Fi and free parking. Surrounded by the stunning countryside and wildlife of the Exmoor National Park, the area is very popular with walkers and hikers. The restaurant serves a broad ranging breakfast menu in the morning including a full English breakfast. In the evening, a menu bursting with locally sourced ingredients is on offer. At night, a relaxing drink can be enjoyed in the cosy lounge. The individually designed rooms within Rockvale each include a scenic view of the countryside, a flat-screen TV, a bathroom and free Wi-Fi. Lynton town centre is just 2 minutes' walk from Rockvale, where a variety of shops and tea rooms can be found. The town of Lynmouth, just a 5-minute drive away also has a number of attractions including a putting green, a promenade, and a harbour where boat trips may be booked. Situated in the small town of Lynton, by the estuary of West Lyn River and next to the Lynton and Lynmouth Cliff Railway, Seawood Hotel boasts elegant rooms with sea view, free Wi-Fi, an outdoor seating area with panoramic views, and free parking. Each room at Seawood Hotel features a flat-screen Sky TV, an en suite bathroom, and a hospitality tray. Rooms offer scenic views of the Bristol Channel. An a la carte breakfast is included in your stay with choices including our full English and eggs benedict. The Seawood Bistro serves meals sourced from local produce all created by the multi award winning chef. Exmoor National Park is a 10-minute drive away, and Barnstaple is 20 miles from the hotel. Both Exeter and Weston-super-Mare can be reached within an hour and a half by car. Overlooking Lynmouth Bay, this charming 14th-century thatched inn is situated on the edge of Exmoor National Park. The Rising Sun Hotel offers fresh local seafood and scenic views. Rising Sun Hotel is set in former fishermen's cottages, and features wonderful crooked staircases, narrow passageways and low beams. The hotel overlooks picturesque cliffs and a small harbour. The candlelit, oak-panelled restaurant serves classic British cuisine, including fresh local game and Lynmouth lobster. The cosy bar offers free Wi-Fi access, real ales and hearty cooked breakfasts. With individual character and original features, the elegant bedrooms each have a TV and tea/coffee facilities. The luxurious bathrooms have free toiletries, and some feature a stand-alone bath. The Rising Sun is just a mile from the famous Valley of Rocks, with its herd of wild goats. Parking is available nearby, and Exmoor Zoo is just 10 miles away. The nearby cliff-top walks offer panoramic views.